In this installment, Matt Samet describes what the job of editor-in-chief was like. For anyone who has wondered what goes on behind the scenes in print media, this is a great introduction to the realities of the position. I know it certainly opened my eyes. Especially important is his point that with ever-decreasing staff levels, running the magazine was more and more a solo operation, making it difficult to distance himself from comments made about the magazine. I think readers will find Matt’s remarks about advertising enlightening as well. Financial realities in a free market make advertising essential but it is a balancing act keeping commercial and editorial concerns separate. As a writer/editor on the Web myself, I found Matt’s comments on the relationship of print to digital media to be reasonable and worthy of serious consideration. I know I have occasionally gone too far in proclaiming the demise of traditional print outlets. Especially crucial is the role of editing. I like to think I can write reasonably well but a recent piece I worked on for the Alpinist really made me appreciate the presence of a good editor. When the money is no longer there for that function, good editing is impossible to sustain and the writing quality suffers. Matt’s description of the change in photography acquisition and editing is striking. Tim Kemple recently wrote on this topic and I sense there is growing discontent with the direction that publishing climbing photography is taking. Clearly the use of digital technology has changed the process immensely and a higher degree of technical proficiency is out there as well. But I also sense a lack of what might best be described as “soul” in many of these photographs. I doubt that the disappearance of the position of photo editor is helping resolve this problem. It’s clear to me that what Matt has described indicates an uncertain future, not just for the individual title of Climbing, but also for the entire genre. 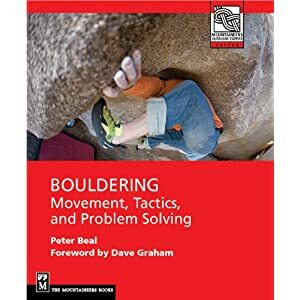 Pressures from corporate interests in the form of owners and advertisers, reader migration to new media, especially online, and of course the incredibly diverse and wide-ranging climbing scene, all point to a complex set of challenges. In the next and final installment, we consider the future of the climbing media. What does the editor-in-chief do? Well, at a big title with a larger stable of editors, the editor-in-chief (EIC) would basically be like the director of a film: the person with the overview of the product, providing the voice, the direction, the focus, the tone. When I started as a desk editor in 2002, Jonathan Thesenga had that role and he’d hold weekly edit meetings in which all of us editors would discuss queries, track deadlines for the issue we were working on, bring up ideas for new features or departments, talk about any issues with reader perception or contributors, etc, etc. The EIC, with the publisher, also makes sure the various divisions of the magazine are synching up: that the ad sales team is keeping editorial abreast of how many pages they’ve sold for the next issue (this determines the page count, as a reflection of the publisher’s targeted ad-edit ratio); that the EIC and his editorial team, including the photo editor, have all their materials ready for the art director and production team in time for each production cycle; that any circulation initiatives (say, subscription cards or ads) that need editorial input are moving along well; that the newsstand and subscriber numbers are where they need to be; and so on. The EIC usually also has a hand in writing and editing, too, especially at the more-detailed, feature level; the smaller the title, the more hats the EIC has to wear – he essentially becomes the managing editor, as well. He should see every word of every story before it prints, too, and have input at some level. 2008 was a better year in two ways: Climbing dropped to 98 pages, so a little less content to generate; and we brought a different senior editor on board – the very talented Justin Roth – who was up for the workload. So it was me and Justin and then my now-wife, Kristin, half-time as an Associate Editor and helping us with the office-manager stuff. I left Climbing in February 2010, so 2009 was my last full year. For the duration of 2009 it was just me full-time and Kristin three days/week as Senior Editor/Office Manager; the magazine also dropped to 90 pages, so again a little less content to generate but not so much less that I felt the workload was sustainable. Not for me, at least — not after three years of consistently working well beyond the 40-hour workweek every week. Editorial work is tough stuff and it’s understood that you’ll have to put in extra hours on deadline, but sustaining those hours even during the “lag time” will burn anyone out. You feel sick, dizzy, tired all the time; your thoughts grow scattered; you can no longer focus. Matt that sounds like a back-breaking workload! How did you see the job changing over your tenure, aside from the issues associated with fewer hands on deck? Did commercial aspects begin to intrude upon the editorial job more overtly or has this always been the case? Another thought I’ve had is that with climbing and with Climbing, our sport is so geographically diverse and fragmented into so many specialized sub-disciplines — and this an an age-old discussion, I realize — how do you provide a magazine that speaks to the sport as broadly as possible, and appeals to as many readers as possible? I only ask because I think it ties back to staff. My background is as a rock climber who started in the 1980s and mostly likes to crag (which, I think, is what most of us do anyway, most of the time), so whether I choose to admit it or not, that bias will inevitably creep into the content. The corollary is I can’t be a rock climber who started in the 1980s and also be a mountaineer who started in the 1960s, a big-wall climber who started in the 1970s, a boulderer who started in the 1990s, and a gym climber who started in the 2000s. And I don’t really think it’s an editor’s job, either, to go out and do the kind of climbing that either terrifies or doesn’t interest him just so he can pretend to write/speak about it with authority; it wasn’t my job to get the chop ice climbing or free soloing or what-have-you, but it was my job to stay up on the literature, stay in touch with practitioners within each community, etc. This much I always did to the best of my time and abilities. But it still goes back to staff — the best product, at least in a generalist climbing magazine, will come from the collusion of a team, each member with his or her own diverse background and areas of expertise. So my job changed over my tenure in that I suddenly had to wear ALL the hats even as outside (industry and reader) perceptions and expectations remained the same, even as the criticism (look at the climbing forums) continued unabated. So at a certain point, what do you do? When people go off on “Climbing Magazine this and Climbing Magazine that,” which they always have and always will, suspecting some sinister agenda or corruption of the sport or just venting their bizarre hatred of magazine editors, you of course start to take it personally when the magazine is basically only you. This can internalize into very unhealthy feelings about yourself and about climbing, which is one reason I had to leave. Even if I were 100 times smarter, 100 times better traveled, and had climbed 100 times as many routes, I’d still be only one person; and one person shouldn’t have to pretend to be the voice of something as complex, enormous, and sacred as climbing nor absorb the not-always-constructive criticism and antipathy that gets leveled at magazines. It will make you insane. As for commercial pressures, I’m not sure I saw any movement one way or another during my tenure at Climbing. If you look at the history of the magazine, it was at its fattest during the boom economy of the 1990s, when it also had the peerless Michael Kennedy steering the ship. Take a look at the ads — a boatload of non-endemic (non-outdoor-industry) advertisers like car manufacturers kept the book very fat, which in turn allowed a large staff, more (and more diverse) content including longer articles and bigger photos, and the like. As the economy has shrank and then so recently cratered, it’s much harder for niche publications to lure non-endemics, themselves squeezed by reduced marketing budgets. Thus if most of your advertisers are endemics, the battle between competing titles to lure these advertisers can become fierce — in my opinion, way too fierce for a pond as small as the outdoor industry. I think very few people are truly getting rich in this industry, and the bulk of us do it because these jobs can be great fun and because we care deeply for our sports. I suppose the flip side is that if most of your advertisers are endemics, then of course you don’t want to alienate them in any way. I’ve only super-rarely felt this pressure overtly, but I think it’s nonetheless a presence.I’ve only super-rarely felt this pressure overtly, but I think it’s nonetheless a presence. I can certainly remember a few times having compiled lists of contributors or featured climbers (already published or who were upcoming) who were on a company’s athlete team, so that the ad department could share that with the company as a possible lure or because the companies just wanted to compile information about their athlete team’s media presence. But again, this was content already printed or under way – not developed especially for that purpose. I don’t think this was anything new under the sun. Only in a very few cases has the pressure been more direct than this. Speaking of ads, what do you think of readers complaining about space devoted to ads? What's the alternative? That’s an interesting question. I guess anyone complaining about ads should consider that, especially for titles with smaller circulation, ads are most of what sustain the business: it’s part of the magazine model and always has been. The friction seems to come up when climbing magazines take ads. To most diehard climbers (and by that I mean don’t mean just the best climbers, but simply those who love the sport so much it consumes them, or they put it before all other mistresses), climbing approaches something of a belief system. It’s not just a sport or a hobby or a pastime. There’s also, especially in the older generations, a strong countercultural, anti-establishment current — many of us got into climbing because we were tired of coaches and teachers yelling at us, of our parents telling us what to do, of all the damn rules we’re told to follow. So I think all outdoor titles feel this pressure: a duty to capture what’s sublime, freeing, and ultimately the most motivating about their sport, but to do so in a way that doesn’t seem like pandering to the readers or that crosses the line into obvious commercialism. Maybe that’s why some climbers find ads so offensive — because, yes, they are obviously selling a product within this “holy” context. But look at most of the ads in the magazines: they’re selling products we all use anyway (harnesses, shoes, ropes, you name it) from brands we’ve known and have trusted for the duration of our climbing careers. And many of these ads feature some of the best photography and design work in the outdoor industry. I just refuse to see them as intrinsically evil. I subscribe to a bunch of magazines — The New Yorker, Esquire, Rolling Stone — and if there’s an ad for a product I’m not interested in, I just flip past it. It’s never offended me. So I guess I don’t see anything broken or crass about this model. Until the rise of the Internet and social media, magazines were the main media outlet most manufacturers used to present new innovations and new products. Take a look at some of the magazines in the 1970s and 1980s and the earliest ads for cams and sticky-rubber rock shoes. Where would we be now if these products hadn’t found their way to the market, helped in part by the magazines? The alternative would I suppose be going to a subscriber-based model, perhaps reducing the frequency of each issue, and maybe bolstering the magazine’s online presence and charging an online subscription fee for a digital edition or updated news-feed. But again, who pays for all this? Well, the subscribers will, probably in the form of higher subscription fees; and I really doubt anyone would pay for online climbing news when it can so easily be found for free. So while it might be lovely to think we could keep climbing “intact” and “pure” by not acknowledging the business side of the industry, in my mind that actually does a disservice to the manufacturers we trust our lives to and who work their asses off to bring us sound, reliable, innovative gear. Sure, the companies have many, many other ways — athlete teams, social media, climbing sites, pro-climber blogs, events, etc. -- these days of marketing their products as compared to the past four decades. But that doesn’t mean magazines aren’t still a valid outlet. It’s ultimately disingenuous to pretend that a climbing magazine, just because it covers this thing we all hold so near and dear, could exist outside the rules of the market. And I think it will be a horrible day when the magazines disappear. I don’t know about you, but I can only read so much on a computer screen, and climbing photography shines best on the printed page. Speaking of online, how did that begin to change the editing job and the mission of the magazine? The Web has had a huge impact on print, undeniably. Throughout 2007, the book at Climbing was still big enough that we had lots of need for Hot Flashes (cutting-edge climbing news) info, so we made it a goal to try to find “fresh” news — news that hadn’t appeared in another title or that had had only minimal mention on the Web. Around 2008, we realized this goal was becoming less and less feasible: how can a print journal that publishes at fixed dates, in five-week cycles, keep up with information that can be posted and disseminated that very day, if not hour? Especially when pretty much everything ends up on the Web these days. You can’t, though I disagree with all the critics who say this somehow makes print an inferior medium. Sure, the Web is fresh and you can get video/photos and spray instantly, and with the sport’s standards rising and more climbers at a higher standard than ever, I think it’s killer how freely the info circulates. Before, there were only so many pages in the news section, so you’d have to make these often arbitrary calls, like what was a “Hot Flash” and what wasn’t? Was the second ascent of a 5.14d news, or was it only news if you had a good photo? What about the third ascent of a 5.15a, or the first alpine-style ascent of an existing line, or a free-solo ice climb...? The list goes on, and with the minimal resources we had at Climbing, the sheer size of the (Web)-globalized climbing community, and the need to wait until late in the production cycle (to keep the news fresh) to compile Hot Flashes, it became exceedingly difficult to keep up. But what does this mean for print? Well, in 2008 and 2009 we tried to retool Hot Flashes — to devote more space to an individual ascent and get the story behind the story, or to print analyses of macro trends at the cutting edge. I think you can keep the news well in a magazine relevant by trying different things like these, but the bottom line is if a reader wants the straight dope/raw facts on the hardest climbs, he’ll get it more quickly from 8a.nu or any similar site. So sure, that changes the magazine’s role from being a journal of record and puts more of an emphasis on, what can we do differently that complements but doesn’t try to keep pace with the Web? Another way to regroup is to put less effort, then, into news and try to spruce up the other departments and the feature well. I really do think there’s room for both print and online media to exist, but in the last 5 years I’ve also noticed a disheartening trend in online climbing media — blogs, news sites, etc. -- in which it seems some authors can’t WAIT to see the demise of print. Yes, Gen Y and Gen Z have grown up with the new media, but that doesn’t mean there still isn’t room for the old media or its “antiquated” practitioners. I probably sound like Willy Loman in “Death of a Salesman” here... Jesus, I’m getting old. The key thing is that all of this is still shaking out: as a tool, the Web’s an infant within the span of human creative history, and we’re still in the process of adapting to and figuring out how best to use it. Do online climbing sites make any money? I’m not sure, but whatever the medium, the best content will be edited, original content, which in turn implies paying contributors for the material and an editor to parse and compile it. At the time I left Climbing, the budget for Web content other than the news was $0, so that makes it a hard fight to fight: you can only demand so much of your contributors when you’re asking them to work for free. That said, I think Luke, the site’s editor and webmaster, and Dougald, compiling and writing the news, have done an amazing job, and my sincere thanks go out to all the contributors who’ve donated their work, as well. At some point, I hope the climbing sites find a way to remunerate their contributors, because it is the future, evolving daily, of how we share information. One last question. Photography is such a big part of the editorial package in a climbing magazine. How do photographs get produced and selected for a magazine such as Climbing? Photography is a huge part of the outdoor magazines, especially Climbing, where you get these spectacular shots and such wild imagery from places only climbers can reach. Up until 2006, the magazine always had a full-time photo editor, which was a key role. Photos are your most important entry points onto the page, and much more goes into selecting and prepping just the right images than you might imagine. There’s also a huge amount of communication that needs to go on with photographers, who often submit the same shots to multiple outlets when looking for a home: catalogs, multiple magazines, etc. -- it can take a while for a shot to find just the right home in print, so the photo editor and photographer try to stay in touch all the way down the line so an image doesn’t get double-submitted, say, and end up printing in two competing titles. The Photo Editor might also send out needs lists to a large group of climbing photographers, a memo along the lines of “Our shoe review is coming up and we’re looking for good shots of people smearing on slabs” or “We really want some imagery of women trad climbing for the Gallery,” etc. Up until the digital revolution, the photo editor would send slides out for scanning and then work on color-correcting those scans; today that’s done so infrequently — everything is digital. So the photo editor will usually look through a low-resolution submission, pick the shots he’s interested in, call in the high-resolution versions, and prepare those for print using Photoshop. We had a part-time photo assistant in 2007, Cody Blair, who helped manage this content and shoot the occasional in-house photo (say, a gear-review opener or product shots), but then the budget dried up for that role and the “photo editor” became a role we divvied up among what little staff we had. Basically, if you were the top editor on a feature or a department, it was also your job to call in the images; which meant it was mostly my job. We’d do our best, always having two people sit down and look at each batch of photographs together, so a consensus could emerge about the strongest images. But, I mean, I don’t have any formal training in photography, so the technical nuances a photo editor would pick up on I’m sure have eluded me at times. I can tell you which shots appeal to me as a climber and someone who’s been reading the magazines for 25 years, but I’m certainly no expert. You also have the deluge of cold queries, random photos sent in and Gallery submissions and news-type photos and all these things, sometimes dozens or even hundreds of images pouring in each day. It takes a huge amount of time to look through these shots (note to contributors: only send in your best, tightest edits, especially if a magazine no longer has a photo editor), and I often fell behind or just couldn’t deal with it anymore. One positive note from 2009 was that the super-talented Andrew Burr, one of the most industrious climbing photographers I know, signed on as Senior Contributing Photographer, meaning we locked into a lot of content with him issue-by-issue. I think his Gallery of Michigan ice climbing in No. 280 and his Gallery of Rob Pizem and Peter Vintoniv freeing the Shark’s Fin in No. 282 are two of the stronger pieces I’ve seen in print. Over the last two years, the task of color-correcting fell to our art director, Andy, who’d do crazy things like pull all-nighters right at the end of deadline to get the images prepped for print. Given that in 2009 Andy also had to lay out Urban Climber and Mountain Gazette, this was a heroic effort. We only had two weeks to produce the entirety of Climbing each deadline cycle (as opposed to the five or six from years past), so Andy would come in at the end and pre-flight the images for print. A big shout out to Andy! Don't envy that work load Matt. I'm glad I wasn't in your shoes ; o ) But there again to make UKClimbing.com work there has been a similar effort by our team here. YOU ASK: "Do online climbing sites make any money? I’m not sure, but whatever the medium, the best content will be edited, original content, which in turn implies paying contributors for the material and an editor to parse and compile it." Yes, UKC now surpasses the print mags for ad revenue in the UK, and we have a an Editor in Chief, a Director, a code genius, two part-timers and myself who work on the site. It works. But personally I would love to do a print quarterly. Thanks Mick! BTW I would love to see a news item/link on UK CLimbing about this interview series. Kairn posted one. Very interesting stuff, thanks for getting Matt to share. Peter and Matt, thanks so much for bringing this interview to us. The climbing community can really benefit from knowing the mag's history and difficulty behind making each issue. This is rad Peter. I hope this interesting to others outside of the industry, but I really appreciate the inside view -- it's like getting to know a friend a little better. And Matt is almost understating how hard and how diligently he would work. I would turn in a piece and four hours later Matt would have that thing back at me with thoughtful comments, a bunch of questions. I'd think "How does this guy do this?" Matt's been a great mentor to a lot of the younger writers out there -- including me. He always took the time to field a question or help trouble shoot an issue. Despite working almost all online these days and having somewhat grimmer view of where print is headed, I also know that Climbing mag was completely pivotal in helping me forward my online business. On the subject of advertising encroaching on editorial, I worked at Climbing for 5 years and remember a major cam manufacturer who got really pissed off that they got an A- in a gear review, and threatened to pull their entire ad schedule. Gear reviews were never the same after that. My questions is, if Justin Roth is now overseeing both Climbing and Urban Climber, how long before he cracks under the workload? "I really do think there’s room for both print and online media to exist"
Go to four print issues a year. High quality photo and writing. Publish two fat print gear guides a year. But the bulk of content goes online to a free website, with a decent forum, not an off the shelf Simple machines one. Invest in video delivery and production. Your ad system has to be open and transparent and above all quantifiable. Companies want value for money not just them giving the media their money. For too long media has been about smoke and mirrors about perception. That has to change if you are to succeed. Thanks for posting this-- can't believe Matt did all that work and still managed to be such a skilled, compassionate editor. Super impressive. Thanks to Peter for pulling this interview together, and thanks to Matt for all the great work you did at the mag. All the trends you identify were already in force when I was at R&I (1998 to 2002), and they've only intensified now. It's a very difficult time...but also a fascinating one. I echo some of the sentiments posted above: it's a shame to see you go Matt, you've done a hell of a job. I enjoyed reading your reflections on the state of print media--I think it's a serious issue I wish we'd discuss more often. Best of luck to you and I hope you find another outlet for your witty and insightful prose. Thanks Peter for posting this! thanks for putting this together, as one of those obsessive climbers it is interesting to know the history of Climbing.I suspect we will see Matt soon again in print, too much of a talent to not be published.I hope the printed mag. will prevail, maybe just an old guy rant, but it is better than web based. Both for image and text, maybe computer screens will improve- like the Kibble, or is it Snivel or Drivel screen that is easier to read. I miss the mid 90's 150 page Climbing mag. content have a place onthe web? Sure. We just need to figure out the best ways to monetize it in the digital world.